There was another disturbing confirmation yesterday that the era of Donald Trump and his ilk continues to drive political discourse — even discourse involving elected officials in less controversial positions — into the gutter. 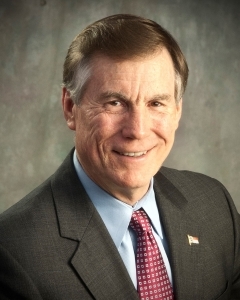 The latest depressing example: new North Carolina Insurance Commissioner Mike Causey. Causey has been a perpetual candidate for various state offices for years and last November, finally won a surprising upset victory over veteran incumbent Wayne Goodwin. “New North Carolina Insurance Commissioner Mike Causey apologized Monday for sharing a meme on social media this weekend mocking women who took part in the women’s march in Washington, D.C. Millions of people marched in cities nationwide and around the globe Saturday following the inauguration of President Donald Trump to voice support for issues such as immigrant rights, women’s rights, health care and the environment – issues they fear are in jeopardy under Trump’s administration. Causey shared a photo on his Facebook page Sunday from someone in Jacksonville, Fla., that showed a street clogged with marchers with the following text overlaying the photo: “In one day, Trump got more fat women out walking than Michelle Obama did in 8 years.” He also linked to the post on one of his Twitter accounts…. To which, all a body can say is: the apology is great, but what in the heck was this man thinking?! It’s hard to know what’s more outrageous: the fact that Causey harbors such inane and hateful views or that he’s so oblivious to his job as a public servant that it didn’t occur to him to muzzle himself. Either way, it’s a sad commentary and yet another remarkable embarrassment for the state. It’s hard to figure how such a person can ever be taken seriously going forward, but of course, in that regard, he has lots of company amongst modern conservative politicians. What exactly are you folks drinking in NC to make you so cruel? I was one of those “fat” marchers on 1/21. Thank you. Once again, another disrespectful and vile comment from a political figure. Stick to your insurance commission position and keep your nasty comments to yourself. Hey, you who hate Liberal/Progressive thinkers, stop apologizing right after you post something nasty, despicable, or untrue. We know you are not sincerely sorry. We know that Trump gives you license to shout your insults without concern for so-called “being politically correct.” No matter how it’s disguised or deflected it remains as intended, an attack on the truth brought to light that hurts like alcohol in a paper cut. No, keep your shallow apologies. Owning your comments and their implications will eventually fester like a boil until you lance it and relieve the puss it has created. You cannot repent until you truly feel regret. I am from NC and I am ashamed of my state’s representatives. This is my shouted motto or creed for these next four years: We voted for you! If you do not represent us you will be replaced with someone who does! And think before you speak … Would you want someone making these same comments about your mother or daughter or wife? It is not about political correctness it is about being a decent human being. Treat others the way you want to be treated!